In recent weeks a friend and I have enjoyed meeting at a local gastropub for long conversations about building the controversial wall along the southern border of the United States. Well, why not? Timely topic, good food, tasty brews. What began as an informal “wall / no wall” debate did not get us very far, but not because we ended up seething at each as many do on Facebook and other social media about this topic. Nor did we get very far because we had exhausted the topic. Just the opposite. The “wall / no wall,” either-or polarization, we realized, had merely offered us a starting point that necessitated stepping back to see the bigger picture of immigration control, what President Trump and others call the broken immigration system. Fixing a system of course entails engaging in systems thinking. As someone has aptly said, if you jiggle over here, something is going to wiggle over there. Said another way, you can never do merely one thing to fix a system – just ask any car buff who has restored an old jalopy. So Jim and I met again, but not to talk about fixing the system. Our goal was to start getting to grips with the bigger picture, or at least to see as much of it as we could identify given our resources. After all, how can wise decisions be made about fixing a system with multiple problems unless the bigger picture is first known? This article identifies key aspects of the immigration big picture along our southern border, but what follows is not the last word on the subject. I offer it as a learner. The immigration picture at the southern border is complex and changing, and it has been grossly misrepresented by politicians, news media, and influential others who have us focused on watching a “wall / no wall” game of ping-pong. My aim is to share what I have learned so far (some of which was surprising) about a system that is not working. If it helps you, I would like to know about that. If you can help me further in my understanding, I would like to hear from you too. The “wall / no wall” way of seeing is like a race horse wearing blinders. The thoroughbred’s peripheral vision is deliberately eliminated for the purpose of focusing the horse’s attention on the track ahead. Blinders narrow the horse’s vision to help keep it from running off course and to protect both jockey and horse from accidents and injuries. During a horse race this is beneficial for the horses, the jockeys, and the sport. Nothing beneficial, or sporting, has accrued to our country, or to the immigrants, by having a blinkered vision of immigration. The U.S. – Mexico border is the world’s most transited international border. Four states make up its approximately 1,950 miles. California: 140 miles. Arizona: 370 miles. New Mexico: 180 miles. Texas: 1,254 miles. There are 5 Mexican states along the border: Baja California, Sonora, Chihuahua, Coahuila, Nuevo León, and Tamaulipas, and 23 U.S. counties and 39 Mexican municipalities. A variety of towns, cities, small farms, deserts, and ecosystems comprise the borderland area, whose total population is estimated at 12 million people. Health concerns and socioeconomic issues are also in play, especially at major crossings such as the three between San Diego and Tijuana, where as many as 50 million people pass through those three border crossings every year. The population for that region is estimated at 4,900,000, making it the second largest bi-national area of conurbation in the U.S., not far behind the Detroit – Windsor area’s population of 5,700,000. Increasing air pollution has been a significant problem in the San Diego and Tijuana region due to the tens of thousands of cars and trucks that transit through the three crossings every year. And San Diego, already the second largest city in California, is one of the fastest growing cities in the U.S. Because of its location on the Mexico border, developers in San Diego are seeking ways to expand into Tijuana. Although increased development would benefit many people in Tijuana, if handled unwisely it would adversely effect the city’s poor, which includes thousands of deportees from California who are typically turned over to Mexican authorities in Tijuana, where many have no place else to go and live in dreadful conditions. Amid all this are the immigrants themselves. Although they live in today’s world, they are part of the perennial human problem of “the stranger,” and they are at the mercy of how both the U.S. and Mexico authorities treat them. Let’s remind ourselves that the United States is not the only country that has been embattled over seemingly unresolvable differences of political opinion and prolonged legal wranglings over the status of immigrants, refugees, and asylum seekers. Millions of refugees fleeing the war in Syria to nearby countries and to European nations is a recent case in point. Previously, the war in Iraq saw millions of Iraqis displaced from their homes. Just over forty years ago, huge numbers of the so-called Vietnamese boat people were arriving by boats and ships on the shores of many countries, including the United States. Seventy-five years ago, Jews were fleeing Nazi Germany. And so it has been throughout history. The challenges that countries face from immigrants date back even to biblical times, to what the Bible calls the treatment of “the alien,” “the foreigner,” “the stranger.” The well-known story of Moses offers insight into the perennial challenges. In brief: the Hebrew people (aka the ancient Israelites) lived for hundreds of years as resident aliens in Egypt. Under Egyptian immigration policy they fared well and “were fruitful and multiplied greatly and became exceedingly numerous” (Exodus 1:7). But when a new leader of Egypt perceived this large population of resident aliens as a national security threat, he changed the policy toward them. He turned the Hebrews into slaves and forced them to live and work in the harshest of conditions. Enter Moses, raised from infancy in Egypt and specially educated from childhood in Pharaoh’s royal court. It was an unusual upbringing because Moses was not an Egyptian. He was a Hebrew. Yet he was groomed as an Egyptian prince and led a privileged life among the Egyptian elite. At age forty, however, after killing an Egyptian and burying the body, Moses fled from Egypt to escape the death penalty. He ended up hundreds of miles away in the land of Midian, in the northwest Arabian desert somewhere, and worked as a shepherd for forty years. What is not well known is that in Midian Moses was given the status of a gēr (“alien” or”stranger”) and was taken in by a gracious Midianite priest and his family. Moses married one of the priest’s daughters, who gave birth to a son, to whom Moses gave the name Gērshom (“stranger in a strange land”). When Moses turned eighty, he was called by God to return to Egypt to free the Israelites from slavery. As God’s appointed leader of a million-plus refugees out of Egypt, the Bible records that Moses received a set of commands from God for the social legislation of this large unwieldy population. One of those commands, which stands out by virtue of its repetition in a number of contexts, applied to how the Israelites were to treat the strangers (aliens, foreigners) in their midst. “Do not ill-treat a stranger or oppress him, for you were strangers in Egypt” (Exodus 22:21). “Do not oppress a stranger; you yourselves know how it feels to be a stranger, because you were strangers in Egypt” (Exodus 23:9). This was a significant law because it was not only Israelites who had fled from Egypt. Many non-Israelites had left Egypt with the Israelites and had become refugees themselves. God, apparently, had no qualms about that. If there had been a question among the Israelites about how to treat non-Israelites in their midst, it was no longer a question. They had God’s view on the matter. “You shall have the same law for the strangers as for the native-born” (Exodus 22:49; Leviticus 24:22; Numbers 15:16, 29). “When a foreigner resides among you in your land, do not mistreat them. The foreigner residing among you must be treated as your native-born. Love them as yourself, for you were foreigners in Egypt. I am the Lord your God” (Leviticus 19:33-34). This divine law, echoed in Deuteronomy 10:19, signifies the high value of life that God places on the human beings that today we call immigrants, refugees, foreigners, aliens, and asylum seekers. 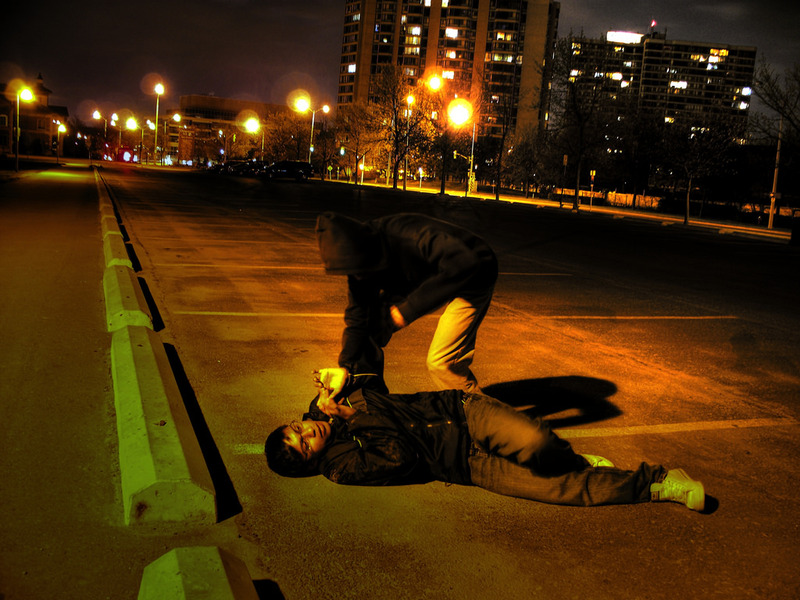 It is a law focused on the treatment of strangers. It is a law to which the people will be held accountable. It is a law implied when Jesus, the archetypal alien in the world, says, “I was a stranger and you took me in” (Matthew 25:35). It is a law that fits hand-in-glove to another of the Torah’s repeated commands: the exercise of impartial justice, which, incidentally, Jesus took to soaring heights, blowing some minds, in his parable of the Good Samaritan (Luke 10). Ultimately, it is a law that finds its root in the truth of Genesis chapter one, where we see that human beings, male an female, created in the image of God, are called good, and very good. That is the value God placed on human beings. Down through history, nations have granted protection, if not possibilities for citizenship, to individuals, families, and groups fleeing persecution, slavery, and threats of death, even if these nations do not acknowledge its basis in divine law. Today, one finds this protection appearing in Article 14(1) of the UN’s Universal Declaration of Human Rights (UDHR). The UDHR is a milestone document that owes much of its emergence to a biblical influence. Article 14(1) does not define what kind of protection policies nations must implement. 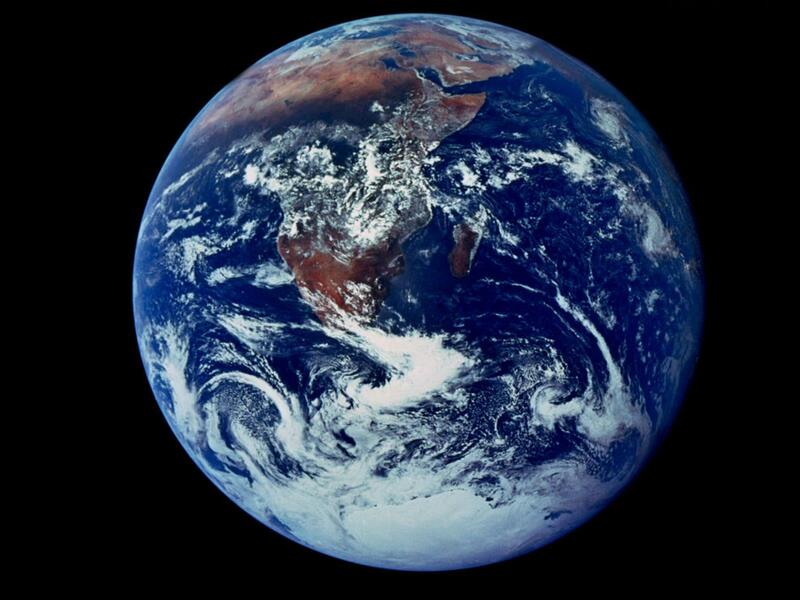 It leaves each nation to its own jurisprudence for determining that. The same was true for ancient Israel. Its commands regarding treatment of strangers was a kind of general social-legislative principle to which the people would be held accountable (by God). But the commands were not themselves policy. 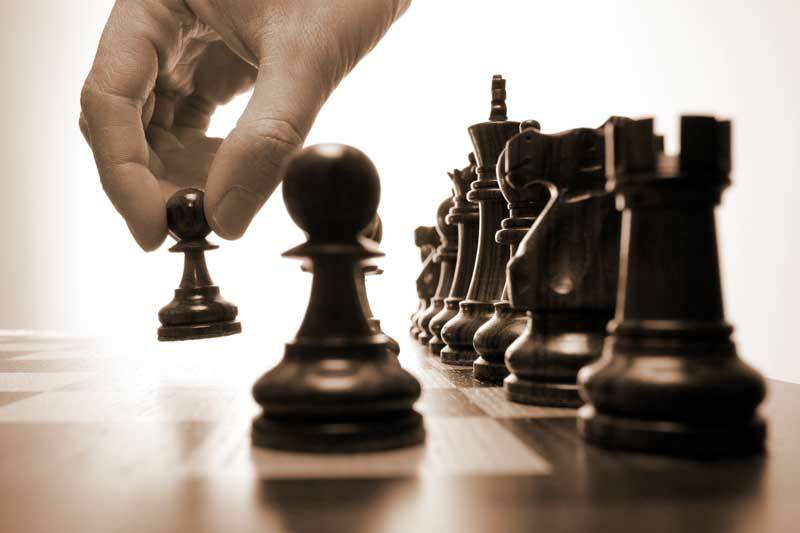 As is frequently the case in the Torah, once a general principle has been revealed it is then up to the monarch, the courts, or the political system to hammer out a policy consistent with the principle. A compelling example of ancient Israelite policy grounded in the above concert of laws appears in the appointment of six cities as “cities of refuge,” as they are called in the biblical text. After the people were no longer wandering refugees in the Arabian desert but settled in a new land, they turned six of the already-existing cities of that land into sanctuary cities. The chief reason for doing so was to provide legal asylum for anyone to flee to who had killed another person. As safe havens, the cities of refuge limited and controlled injustices, for they gave the accused a place to stand trial, where it would be determined if the killing was accidental or intentional. And these cities were spread out in key locations throughout the land, so no one involved in a court case would have to travel too far. The legal proceedings for determining guilt or innocence are spelled out in Numbers 35 and Joshua 20 but do not concern us here. What needs underlining, however, is that the six cities were places of physical and legal refuge not just for Israelites but for “aliens and any other people living among them” (Numbers 35:15; Joshua 20:9). Also, these cities were overtly religious cities, in that all six had to be Levitical cities, that is, cities of the priests, the Levites. In other words, these places of asylum were an integral part of ancient Israel’s religious life. This was significant. For it was not just to the king, or to the courts, or to the elders but also to the priests that the people looked for rulings of justice. With the law of asylum in place across the country in six of the (forty-eight) Levitical cities, the accused (who may be an alien, and innocent), when received into a sanctuary city, knew that he awaited trial under the protection of divine mercy and grace. Whenever the accuser (aka the “avenger of blood”) had tracked down the accused to a city of refuge, the accuser was forbidden by divine law from taking the life of the accused, and a trial would determine the latter’s legal status. Here, then, in the ancient Middle East we see an example of a nation-wide policy in a criminal justice system that is based on the high value of life that God has placed on immigrants, refugees, foreigners, and asylum seekers even if they have been accused of committing a capital offense. The United States, of course, has no official religion. Constitutionally, it is not a religious polity. It is not possible for Congress to replicate ancient Israel’s religious cities of refuge in the country but, as the apostle Paul recommends, we can learn from ancient Israel’s history (1 Corinthians 10:1). In the difficult context of America’s broken immigration system, controversy has swirled around so-called sanctuary cities in recent years, particularly after President Trump signed an executive order in January 2017 to withhold federal funding from jurisdictions that limited cooperation with U.S. immigration authorities. Many of these jurisdictions include sanctuary cities – an imprecise term used for cities across the U.S. that are viewed as lenient toward non-criminal undocumented immigrants. I am not an immigration professional, but here are some discoveries I made about this area of jurisprudence. Although the Trump administration implied that the President’s executive order was issued because sanctuary cities or counties don’t cooperate with U.S. immigration authorities, that is a misnomer. From what I can tell, a sanctuary jurisdiction is probably not working outside federal law. It tries to work within federal immigration law to limit its cooperation with federal immigration enforcement agents in order to protect low-priority immigrants from deportation. But it will turn over to relevant authorities those who have committed crimes. For instance, being undocumented is not a crime; it is a civil violation, which can be handled by local jurisdictions (2012 U.S. Supreme Court decision, Arizona v. U.S. ). In a sanctuary city, local police will most likely release an arrested immigrant after he has been cleared of charges, posted bail, or completed jail time for whatever he was arrested for. A non-sanctuary city might hold that same person until ICE can come to pick him up – even though that extra holding is not constitutional. A piece of legislation from Congress, or a dictate from the Attorney General, or an executive order from the President that seeks to penalize sanctuary cities because they refuse to hold non-criminal undocumented immigrants for ICE pickup has marked the wrong target. For it is the cities that hold non-criminal undocumented immigrants for ICE pickup who are acting unconstitutionally. I would argue that sanctuary cities, in following the Constitution, are also practicing their own version (consciously or not) of the general law of Leviticus 19:33: not mistreating a foreigner who resides among them but treating them as native-born. Further, when non-criminal undocumented immigrants know that they won’t be treated outside the law, it’s an incentive for them to cooperate with local law enforcement authorities when they need to. This kind of cooperation has been long understood and needed by police departments, sheriff departments, and other law enforcement agencies in sanctuary jurisdictions, which is why they pushed back against President Trump’s combative stance against their (legal) handling of non-criminal undocumented immigrants. Police chiefs in Los Angeles, Denver, Tucson, and other cities have made strong cases that their communities have been made safer and better because non-criminal immigrants know that when they come forward, for instance, to report a crime or to act as a witness, they will not be turned over to ICE. Besides cities of refuge, houses of worship in ancient Israel protected people under threat of death. Across the United States today, sanctuary churches perform a Good Samaritan role for non-criminal undocumented immigrants who get stuck in the most desperate straits. Daily care for these “church families,” which includes food and finances, is multi-faceted and provided by members of the congregation and networks of pro bono lawyers, advocacy support groups, concerned individuals in the wider community, and even sympathetic synagogues and mosques. Although the total number of persons in the U.S. who have sought protection from deportation inside churches remains relatively small, they have good and sufficient reasons for wanting to remain in the U.S. Many have worked and raised families here for years, if not decades. As with other aspects of our broken immigration system, this one is also complex and not easily resolved. Here’s a typical scenario: undocumented immigrant parents seeking legal status but unable to obtain it yet and facing imminent deportation. But their children were born in the U.S. and are therefore U.S. citizens (Fourteenth Amendment) and cannot be deported. The parents quite naturally and reasonably don’t want to be separated from their children, so they enter the safety of a sanctuary church in order to pursue their options and continue to plead their case with relevant authorities. Another scenario would be that of an undocumented parent with a child who is gravely ill. These families are not trying to hide from ICE or USCIS (United States Citizenship and Immigration Services, the agency that handles citizenship eligibility for immigrants, work permits, green cards, adoption requests, humanitarian services, and much more.) The families notify USCIS and ICE of their new address. There is no law that prevents ICE from entering a church, mosque, or synagogue to detain an undocumented immigrant, but ICE has typically refrained from doing that, for any number of reasons. The agency will, however, enter to make arrests if it concerns terrorism or public safety. Reports are surfacing, however, of a trend developing in which ICE may not be so accommodating to sanctuary churches as it was during the previous administration. Perhaps Congress could pass a temporary law that would ensure undocumented immigrants safety from arrest in a sanctuary church while USCIS and the courts are sorting out the family’s status. Court systems in the U.S. are also significant in how undocumented strangers are treated. Because ancient Israel’s cities of refuge were deliberately located in strategic areas throughout the land, no one involved in a case would be burdened with traveling a long distance for the trial. The accused would find asylum quickly and the accuser and any witnesses would most likely be nearby. The parties would have recourse to a speedy trial and a case could be adjudicated quickly. Although the Sixth Amendment of the Constitution guarantees the right to a speedy trial, adjudication of immigration cases in the U.S. has slowed to a crawl. Near the end of 2018, there were approximately 400 immigration judges in 58 courts across the country. This was up from approximately 300 at the end of 2016. But the system remains overwhelmed. According to Executive Office for Immigration Review of the Department of Justice, as of August, 2018, there were more than 730,000 pending immigration cases, which means that the average immigration judge would have a backlog of 1800+ cases. It is not unusual for average wait times for cases to be fully heard to stretch to two to three years. Even if it cost as much as $100 million, or even $200 million, to add or reassign judges or other necessary personnel in order to lessen the backlog of immigration cases, including the reuniting of children with their parents, that is only two percent or four percent (respectively) of the $5.7 billion that President Trumped sought from Congress in January 2019. I suppose some ungenerous soul would say, “Let ‘em wait three years. No big deal.” Well, put yourself in their shoes. It’s a big deal to the families who are stuck in the queue. How would you want to be treated? Processing them through the system in a fairer amount of time would be more humane than keeping them on pins and needles about their final status for years. Another part of the immigration big picture is the DACA program (Deferred Action for Childhood Arrivals). Launched in 2012, DACA allowed young people who came to the U.S. as children to be “lawfully present” without threat of being deported and to apply for a driver’s license and a work permit. When the program was rescinded in September 2018, federal courts kept most of the DACA recipients (700,000+ young people) from deportation pending a permanent legislative solution. Education is another part of the picture. The education of undocumented immigrant children in K-12 public schools is guaranteed by law (Plyler vs. Doe; U.S. Supreme Court decision, 1982). Also, except in instances of a subpoena being served, federal law (the Family Education Rights and Privacy Act) prohibits public schools from providing any outside agency, including ICE, with information from a child’s school file that would disclose the student’s undocumented status. Educating undocumented immigrants benefits our country. The sooner the immigration status of undocumented students is resolved, including the status of those stuck waiting in DACA limbo, the sooner those who can stay in the country are free to dream about how they will become long-term contributors to American society. In March 2017, during an address to Congress, President Trump stated that “we will soon begin the construction of a great wall along our southern border.” No surprise there. “Building a wall” had been a hallmark of candidate Trump’s campaign for President. In January 2018, he began negotiations with Congress for $25 billion to build it. After that appropriation for funding failed, chiefly due to months of wrangling between the White House and Congress over the status of 700,000 DACA immigrants, the President in January 2019 asked Congress for $5.7 billion to build it. When those funds were withheld, the President promptly declared a formal national emergency to find funding for the wall. Resistance to Trump’s wall also comes from many in Congress who have said that open borders are best. As I write this, it is far from evident what will be the outcome of the lawsuit filed in February by sixteen states to prevent the President from using that declared national emergency to access funds to build the wall. Meantime, on March 11, it was announced that the President wants $8.6 billion from Congress for “the wall,” as part of his proposed $4.7 trillion 2020 budget. Since the presidential campaign of 2015, however, the sound bite “to build a wall” – repeated endlessly in the news media, blogosphere, social media, and on talk radio – has been a misnomer, if not misleading. Personally, and I’m embarrassed to admit this, but I never paid much attention to happenings along our southern border until the 2015 campaign. My excuse is that my work on foreign policy and diplomacy focused on U.S. – Middle East relations; migrants coming into the U.S. from Mexico and Central America were not part of that geography. When I heard Donald Trump’s frequent take on “building a wall,” and with that sound bite becoming ubiquitous in the media, I got the impression that there was no wall. So I was surprised when, after doing a little research, I learned that a total of approximately 650 miles of wall already existed. I felt misled by candidate Trump’s repeated refrain about building a wall. It would have been more honest, I thought, if he had talked about repairing existing barriers and building additional sections. If Congress had authorized the $5.7 billion the President wanted “to build the wall,” and if he had used the funds strictly for that, the respected Office of Management and Budget estimated the he would have been able to build 230 miles. In February 2019, Congress did approve $1.4 billion to add more vertical barriers, which would finance about 60 more miles. That puts the price at roughly $24 million per mile, not including cost overruns. The dollar figures, then, are all over the map, as are the locations of the barriers. And the President’s material proposals (concrete or steel) have shifted over time and may shift again. The U.S. government has commissioned numerous prototypes (typically about thirty feet high) for testing and evaluation. So questions about what kind of barriers and their costs remain. In short, Congressional purse strings dictate how many miles of barriers get built. If past history is any indication, even if Donald Trump were elected to a second term it is unlikely his promised wall becomes reality by 2024. Further, the refrain to “Build the wall! Build the wall!” lends itself to disassociating human beings (immigrants) from their humanness and moving them into the abstract, as if the crucial problems of immigration control were equations of math or physics awaiting to be solved. This subtle but significant shift of perspective has dire consequences on how we think, talk, debate, and propose solutions to a problem in which human beings and their treatment is the fundamental reality of the big picture of immigration control. Harmful consequences to wildlife and biological life have arisen around sections of border wall built during past White House administrations. 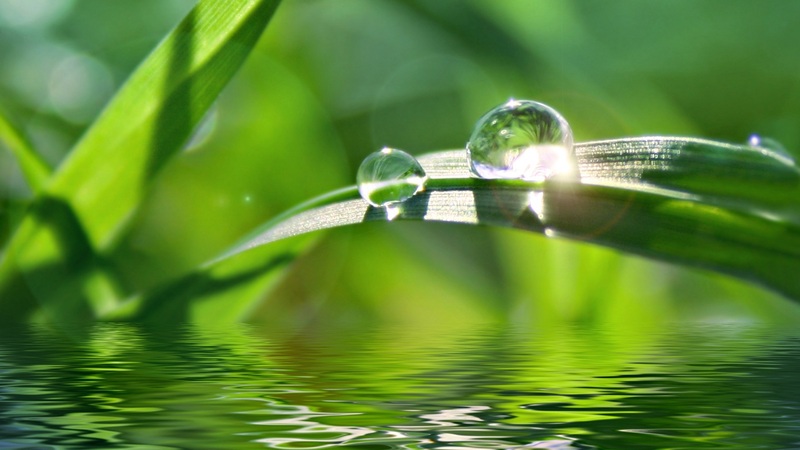 Along the approximately 650 miles of pedestrian and vehicle barriers of various lengths and compositions that currently exist along the 2,000 mile border, six eco-regions support abundant biological life and wildlife. As more sections go up, studies suggest the negative impact on animal life and natural ecosystems will continue unless the current and future Administrations take steps to reduce that. Reporting on the adverse effect of the borderland’s fence, steel, and concrete barriers has been largely neglected by the national news media, downplayed by many politicians, and brushed aside by the Department of Homeland Security (DHS – the government agency tasked with building the barriers). But the negative consequences have not been ignored by science. In 2018, the journal BioScience published a paper signed by more than 2,500 scientists from the U.S., Mexico, and forty-one other countries urging President Trump to think twice about the wall and the infrastructures that will be supporting it. The report documents how previous and current building of barriers bypasses environmental laws, harms wildlife populations, and devalues conservation investment and scientific research. The report concludes with practical advice for moving ahead more wisely. Besides the other exigencies about building the wall that are being introduced in this article, “choke points” is another. A choke point (so-called: the strategy comes from the military) narrows down the distance that you or your group must pass through to reach a destination. Consider the 370-mile long Arizona-Mexico border for instance. Sans any kind of barrier, border guards, or surveillance anyone could cross that border whenever he or she wished. But if you don’t want anyone to be that free, you could build a tall solid 370-mile long wall, and then no one could walk or drive across the border. That wall would of course play havoc with vital concerns such as tourism, commerce, and the ecology. It would also impose travel restrictions on family members and others who are living in, say, Phoenix or Tucson who needed to go by car to, say, Nogales, Mexico, just the other side of the Arizona state line. They would need to make long detours. A long detour would also be necessary for folk in Nogales, Mexico who had to get next-door to its “twin” city, Nogales, Arizona. Knowing all this, you still have good and sufficient reasons to manage the flow of people across the border. So instead of building one long wall, you build sections of wall to funnel would-be crossers to choke points, which in theory would control the flow of people by forcing them to a check point where their identity and other relevant information can be discovered. Arizona’s total of nine vehicle and pedestrian crossings act in principle as choke, or check, points. There are a total of forty other legal points of entry in California, Nevada, and Texas. 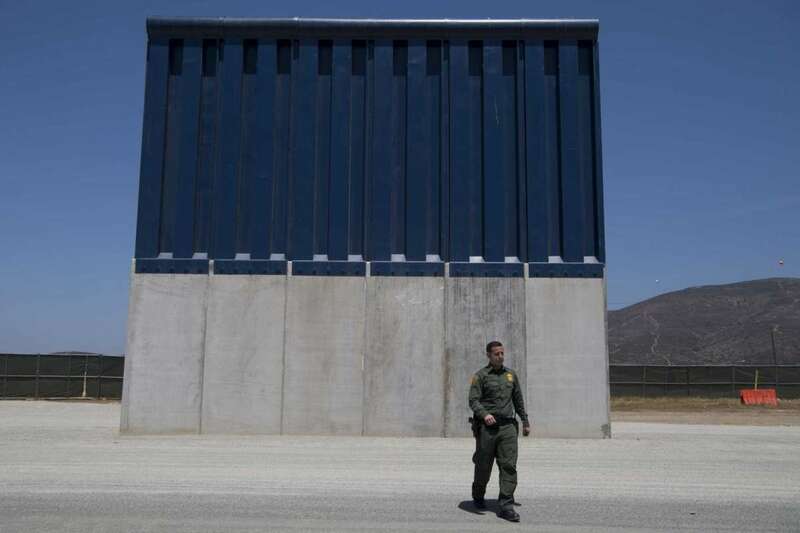 For every new one that is added along the 2,000 mile border comes construction costs as well as ongoing costs for additional personnel and equipment and its maintenance, 24/7/365. Federal and state governments have long recognized that physical barriers alone are not sufficient along the southern border. Underground sensors, infrared cameras, radar blimps, unmanned drones, tethered aerostats, laser illuminators, microwave transmitters, sensor towers, and other high tech surveillance tools have been deployed to help border patrol agents and law enforcement officials monitor illegal crossings and locate drug smugglers – all of which must be manned and maintained at a cost of billions of dollars each year. And new tools continue to emerge. It was recently reported in the news that a new mobile video surveillance system is being deployed. Mounted on trucks that roam the roads and open areas, it can look into the mountains with infrared scopes from several miles distance in the day and at night to help locate smugglers. It seems unlikely, however, that electronic surveillance will ever render the need for some physical barriers obsolete. One costly experiment seems to bear this out. 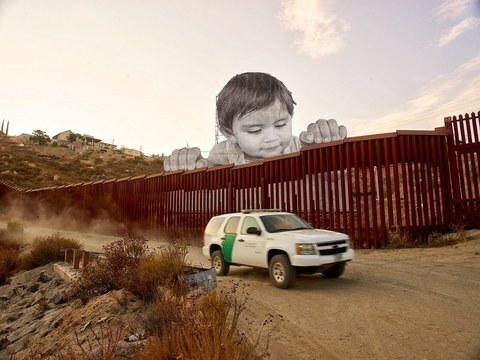 Begun in 2006 under the George W. Bush administration and run by Boeing Co., the $1 billion SBInet program was meant to link and integrate existing video cameras, radar, and sensors along the highly traveled southwest border in order to provide U.S. patrol agencies quicker response times to locate and arrest illegal crossers. By 2010, that “virtual fence” program had become untenable due to cost overruns, missed deadlines, accumulating red tape, and other setbacks. 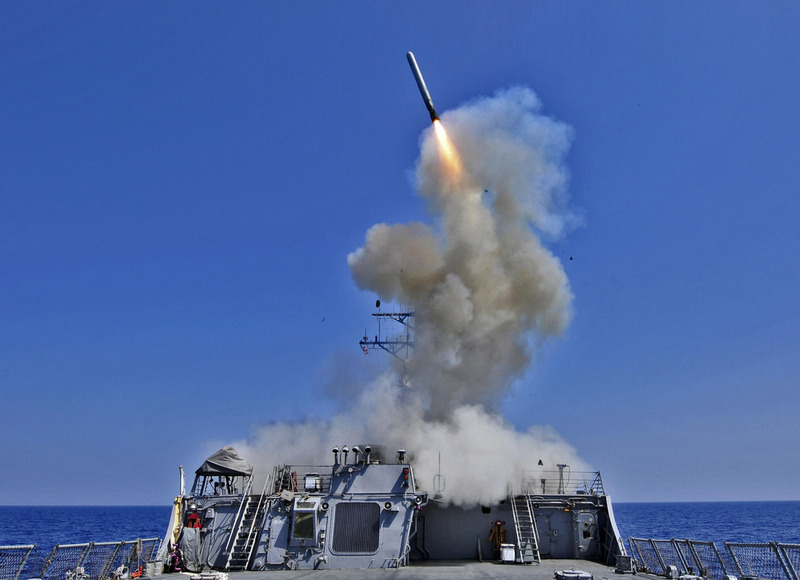 It was cancelled in 2011 by President Obama and replaced by a strategy “tailored to the unique needs of each border region.” This strategy would deploy “commercially available surveillance systems, unmanned aerial drones, thermal imaging, and other equipment” to provide “faster deployment of technology, better coverage, and a more effective balance between cost and effectivity” (Janet Napolitano, Homeland Security Secretary, 2011). (In 2010, President Obama authorized $600 million to pay for two more unmanned drones and 1,500 new customs inspectors, patrol agents, and law enforce officials along the border. Drama surrounding “the wall” from the political right and conservative media creates the impression that every immigrant at the southern border is an enemy. Drama surrounding “the wall” from the political left and liberal media creates the impression that anyone and everyone may immigrate. Both views serve the absolutized ideological politics behind each drama and ill-serve the strangers arriving at our southern border. Some are even dying in our deserts. While working on this article I spoke by phone with Steve Johnstone, who has worked with No More Deaths (NMD), an advocacy group in southern Arizona founded by Catholic, Presbyterian, and Jewish leaders. 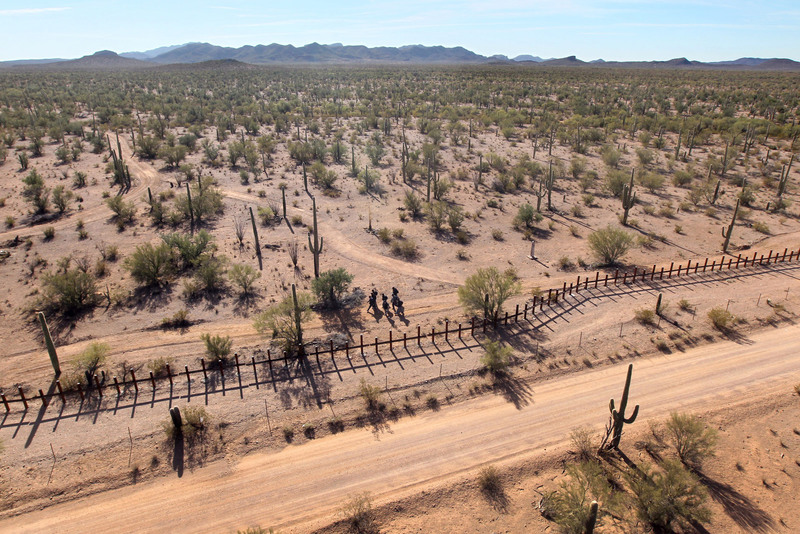 NMD maintains a year-round humanitarian presence in the deserts of southwestern Arizona, where migrants often get lost and die. NMD volunteers hike the trails and leave water, food, socks, blankets, and if possible they provide emergency first-aid treatment. 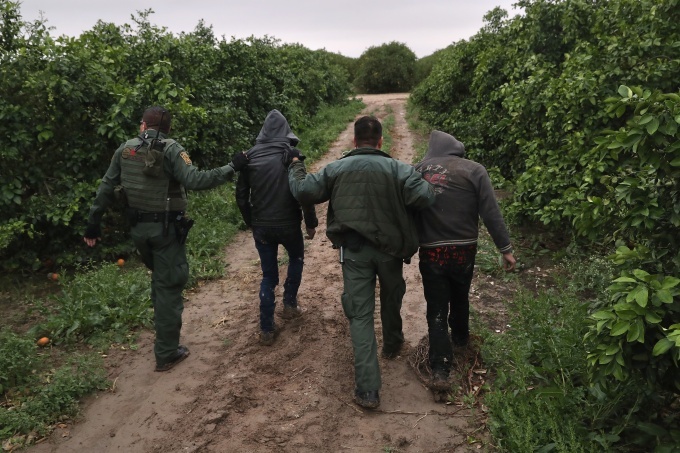 Earlier this year four of NMD’s volunteer aid workers were arrested while searching for three migrants who were lost in the Cabeza Prieta National Wildlife Refuge. The workers, who were trying to find the migrants and get water and canned food to them, were convicted of misdemeanor charges and fined. Two of the migrants were found. A large percentage of those rescued are mothers with their children and they often have similar stories. Their husbands were displaced from small farms in Mexico when NAFTA began to benefit U.S. agribusiness in ways that put countless small Mexican farmers out of business and their husbands out of work. In order to feed their families, the men crossed the border seeking farm work in the U.S. while their families remained in Mexico, but the government has made it increasingly difficult for these men to visit their families back in Mexico. If more walls, tougher policies, and tighter border security did not deter these undocumented wives from trying to enter the U.S., the feds assumed that large hot deserts would. But the government did not consider the grief and determination of these wives and mothers. Out of desperation, many are willing to risk walking up to eighty miles in the Arizona desert in hopes of reuniting their families. An increasing number, however, are dying from dehydration, heatstroke, or hypothermia, having lost their way and run out of food and water. So maybe you thought it was all about the wall. It isn’t. More than 2,500 human remains have been found in the deserts of southern Arizona since 2000, and as a friend recently reminded me, leadership usually begins by defining reality. There are many aspects to immigration control reality, but relentless political focus on “the wall” is diminishing our capacity as responsible Americans to see that the human person is at the heart of the reality. “Listen also to the immigrant who isn’t from your people Israel but who comes from a distant country because of your reputation, because they will hear of your great reputation, your great power, and your outstretched arm” (1 Kings 8:41-42). We also have the words of Jesus himself, the archetypal alien in this world: “So in everything, do to others what you would have them do to you, for this sums up the Law and the Prophets” (Matthew 7:12). This article has touched on only a number of aspects of the immigration big picture, but I hope that it has offered enough background to show that problems of immigration control are systemic, that there is no one-size-fits-all solution. 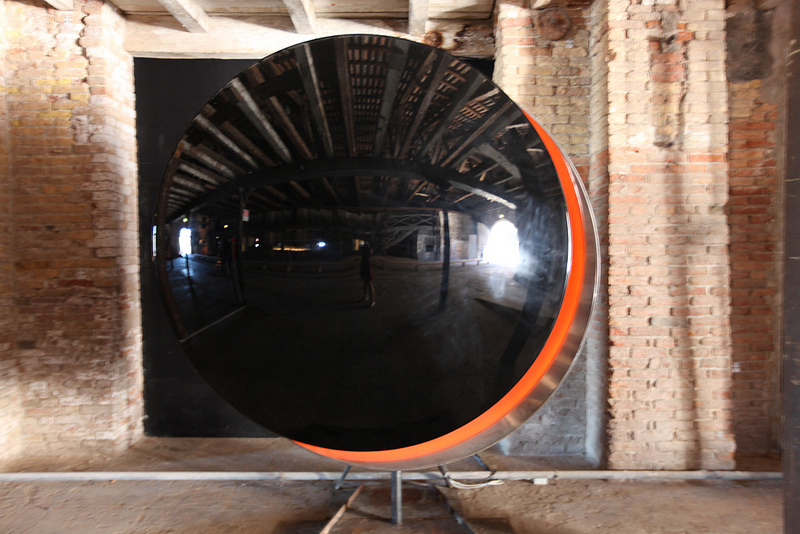 I hope that it has helped to bring the reality from the abstract into the human. It will not be easy to repair all that is wrong to everyone’s satisfaction, but we will be greater as a nation when we pull together in that direction. 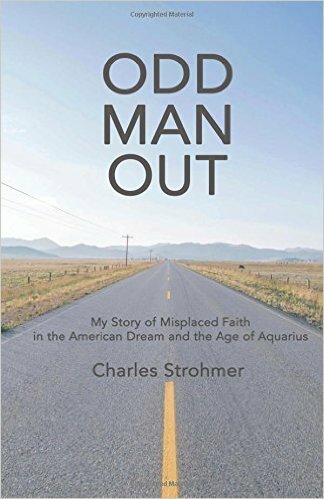 Charles Strohmer is a researcher, freelance writer, and author of eight books. Images: Washington Post/Carolyn van Houten; John Morre/Ghetty Images; Conde Nast Traaveler; CNN. A note from Charles: For more of the perspectives that Waging Wisdom seeks to present, try following the blog for a while to see if you like it. You can always “unfollow” anytime. Just click here, find the “Follow” button in the right margin, enter your email address, and click “Follow.” You will receive a very short email notice when I post a new article. Thank you. “The meaning of history,” wrote Abraham Joshua Heschel, “is to be a sanctuary in time.” With that subtle insight, the noted twentieth century rabbi drew attention to the paradoxical standing of human presence in the world. By our individual acts we can either increase the misery, suffering, and pain of others or contribute to their relief, healing, and well-being. Whenever we do the latter, Heschel writes in God in Search of Man, we are creating sanctuaries for people in distress. When you see someone who is a living epistle of that kind of compassion and care, you really must stop and wonder. And when you see it taking place day after day in a loving marriage, and in the bitterest of conditions therein, you are beholding a blessed sanctuary indeed. 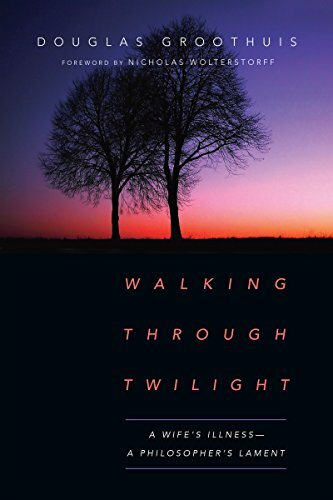 In Walking through Twilight: A Wife’s Illness – A Philosopher’s Lament, Douglas Groothuis invites us to experience what daily life is like in one such sanctuary of compassion and care. 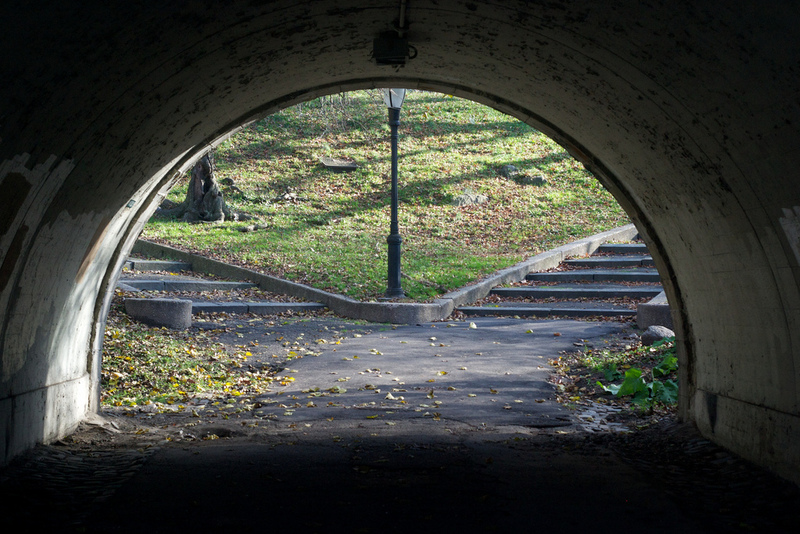 The eloquently written memoir begins with the tragic reversal of fortune that has come to him and his wife, Becky, and from its opening lines we learn how difficult it was to write. For Groothuis had to speak not only for himself but also for Becky, a once-talented author, editor, and member of the Mensa society who now lives virtually without language capabilities. She suffers from primary progressive aphasia (PPA), a rare disease that disables the speech and language centers of the brain. Thankfully, Groothuis, who teaches philosophy of religion and ethics at Denver Seminary, does not offer a time line of his wife’s mental deterioration. Instead, he recounts many and varied experiences along what he calls the “darkening footpath.” And he does not mince words. His willingness to be dead honest about his confusion, anguish, denial, anger, and lament is both painfully moving and biblical in its realism. Such unflinching honesty runs throughout this beautiful love story, and it made me wonder: how in the world does he keep going? Eventually it hit me. It isn’t only Becky who is changing. As Christ was changed by his cross relevant to our sin, the caregiver himself is being changed by his cross relevant to her disease. And in the process he, like Christ, is being carried along in his sufferings by the loving, caring grace of God, even during days when the sun is eclipsed by the moon. That narrative of grace is the secret story of Walking through Twilight. And it recalled to mind Marilynne Robinson’s idea of finding a story that has a suggestive power far beyond its subject. This, then, is no woe-is-me memoir. Groothuis writes “to offer courage, hope, and meaning.” Scenes throughout the book run between the tender and the tragic, giving witness to the couple’s experiences of grace and meaning on their distressed path. There is the amusement and comfort the couple receives from Sunny, their almost-human Goldendoodle. There is the weight and effect of Becky’s illness on Groothuis in his classrooms, where we see him struggling to answer the question: “how can my sufferings be nobly born before students?” There is a groundbreaking and probing chapter of lessons he has learned from lamenting online. And the penultimate chapter – an Interlude given the title “Resting” – is so intimate a sanctuary moment that I wondered if the veil should not have been left drawn across it. The story is rich in wisdom from Christian writers such as W. H. Auden, G. K. Chesterton, J. R. R. Tolkien, and C. S. Lewis. Groothuis also draws clarity and inspiration, often during the darkest moments, from unlikely sources: the essayists Michel de Montaigne and Christopher Hitchens, the music of Pink Floyd or Metallica, and the paintings of Jackson Pollack and Mark Rothko. Contrary to popular belief, and Superman mythology, real diamonds are not formed from lumps of coal. Neither are literary diamonds. Both require a combination of extremely high temperatures and intense pressures found in the deep depths of the Earth’s mantle. Yet over time, some get forced to the surface. Walking through Twilight: A Wife’s Illness, A Philosopher’s Lament is such a literary find. Grace-giving love is its underlying narrative. Because of that love, this memoir will help readers who are beset by real troubles to face them with courage, wisdom, and hope. And find sanctuary. Charles Strohmer is a freelance writer and the author of eight books and numerous articles. This review was originally published in Touchstone (Sept/Oct, 2018). It’s no surprise to Christians that the star of Bethlehem and the wise men who followed it occupy a prominent place in the Nativity. My childhood memory is typical of many. Our family Christmas tree was topped off every year by a large star. Below it on the carpeted floor near the tree was our nativity scene, peopled by Joseph, Mary, baby Jesus in the manger, shepherds holding their staffs, and several winged angels and tiny white sheep. And of course three colorfully dressed wise men stood at a respectful distance gazing toward the newborn child. But this might surprise. Around Christmastime every year, the phenomenon of the star of Bethlehem and the mission of the wise men interest millions who would not consider themselves Christian. Every December you will find them reading magazine articles or listening to current affairs stories purporting to explain the true meaning of the mysterious star. These explanations, however, typically lean heavily on naturalistic interpretations, particularly from the field of astronomy, ignoring important details from the narrative provided by Matthew’s Gospel. The net effect is the de-enchantment of the mysterious star. This approach may sit well within the larger cultural zeitgeist of secularism but it does not square with Christian belief. Such historical conjectures are small change when compared to accepting purely naturalist or materialist conclusions, which bankrupt the Nativity of its divine otherness. The star of Bethlehem is then robbed of its mystery, the magi are reduced to being clever astrologers, and Christ’s birth loses its revelatory meaning. Here’s how that occurs and why we don’t have Christmas when it does. Solely naturalistic or materialistic views of the starry visitor that led the magi are many and varied: nova, comet, meteor, supernova, or the sighting of a new star. 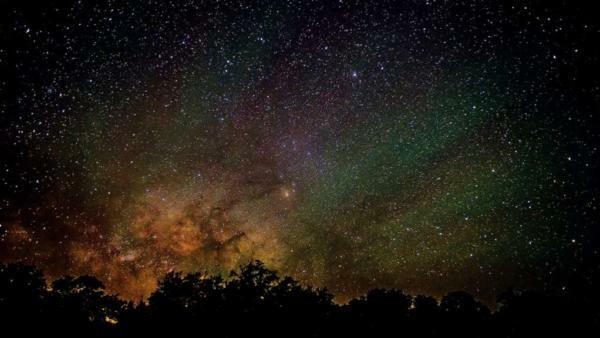 There is astronomical evidence for some of these stellar occurrences, any one of which could have produced a bright phenomenon in the night sky to set the ancient world abuzz. A new nova, for example, was discovered about 125 years before the birth of Christ by the Greek astronomer Hipparchus. According to Ptolemy, this nova was visible to the naked eye until decades after Christ’s death. Within naturalism, the shepherds (see Luke’s account, chapter 2:8-15) must have mistaken the bright nova for the angelic visitation that appeared, saying, “Glory to God in the highest, and on earth peace to men on whom his favor rests.” Daft, lonely shepherds. Spending so much time with sheep – stars don’t talk! Another natural phenomenon was the conjunction of Jupiter and Saturn, the two largest planets of our solar system, around the time most scholars place Christ’s birth (4 BC). There is a consensus among astronomers since Kepler that this planetary conjunction occurred around 7–4 BC. It would have been a prominent sight on a clear night in the ancient Middle East. Modern astrologers typically assume that the magi interpreted this planetary conjunction as an astrological sign indicating the birth of such a significant person that it warranted their arduous trip from the East to Jerusalem. Comets, too, were not unknown in ancient times. The famous Halley’s comet, originally discovered in 240 BC by Chinese astronomers, was also visible in 12–11 BC. Another comet appeared around 4 BC. If the star in Matthew was a comet, as the early church theologian Origen assumed, its dramatic appearance in the night sky would have quite the attention-getter. And its linear movement across the heavens would more closely approximate the account of the star in Matthew than would the movement of a planetary conjunction. Even so, the meaning of star of Bethlehem cannot be reduced to any purely naturalistic interpretations; nor can the way the magi followed the star to the Christ child be justified astrologically. Significant non-natural characteristics of the star as it is described in Matthew cannot be explained by the science of astronomy. Fair enough. Any scientist worth his or her salt will admit that science cannot explain any phenomenon to complete satisfaction. That attitude is not being questioned here. At issue is the naturalism that explains away the divine otherness and meaning of the star of Bethlehem as silly religious nonsense or superstitious belief. Also at issue is the occult method that astrologers claim the magi used as a kind of road map to follow the star from the East to Jerusalem and then on to Bethlehem. As someone who once practiced astrology, I have some sympathy for what astrologers are trying to achieve by this. Like many sensitive people they refuse to allow themselves to be suffocated within the metaphysical box of naturalism, philosophical materialism, or scientific rationalism. Their way out, when it comes to the star of Bethlehem, is to accept astronomical evidence for the conjunction but then to claim the magi among their number by introducing a tincture of occult otherness to the nativity narrative. Mindful of potential audiences likely to include high numbers of rationalists and spiritual seekers, many Christmastime magazine articles and current affairs segments on radio or television will combine elements astronomy and astrology in their stories about the star and the magi. A close reading of Matthew chapter two, however, tells a different story. Here are the essentials. The phenomenon that is called the star of Bethlehem seems to have acted with a kind of life and intention of its own. According to the text – and as Walter Brueggemann is fond of saying, “Stick with the text” – the star “appeared” at a particular time and it “went ahead of them [the magi]” … “until it stopped.” And it did not stop randomly anywhere; it “stopped over the place where the child was.” In other words, the star is not governed only by the laws of nature any more than a human being is. This “star” apparently has some sort of personal intention in its nature. As such, its meaning cannot be reduced to the laws of nature, whether by those of a nova, a planetary conjunction, or a comet. If we set aside the bias of “silly religious nonsense,” the text of Matthew 2:1-12 seems to be revealing some sort of presence to the magi that is as supernatural as that of the angels appearance to the shepherds (see Luke’s account). The New Testament Greek language of Matthew’s account lends itself to this view. The word translated with our English word “appeared” includes meanings associated with a shining light and is occasionally used to describe the appearance of an angel, such as to Joseph (Matthew 1:20; 2:13, 19). The word is also used of Jesus when he “appeared” to his followers after his resurrection (Mark 16:9, 12, 14). It is a term, therefore, that can denote forms of luminous bodies other than literal heavenly astral phenomena, including stars. The verb phrase “went ahead … until it stopped” is another case in point. The word “stopped” is used numerous times in the New Testament to describe people who have chosen to “stand still” (Matthew 20:32; 27:11; Mark 10:49). The verb “went ahead” is a peculiar construction in the Greek, used only a half dozen times in the New Testament, usually for “to lead” or “precede.” So the crowds are leading Jesus into Jerusalem (Matthew 21:9) and Jesus is leading his disciples to Jerusalem (Mark 10:32). Curiously, the construction is used once about prophecies being fulfilled (1 Timothy 1:18). The text does not report that the star spoke to the magi (as the shepherds heard the angels). Pretty convincingly, however, the text does allow for the idea of personal intention and purpose in the nature of the phenomenon called the star of Bethlehem. This cannot be said of inanimate objects (comets, planets) obeying natural laws only. This brings us to the magi, to their careers and to the actual way they got their leading to Bethlehem and the child, and to the revelatory message and meaning of the Nativity. The word “magi” (singular: “magus”) originated centuries before the time of Christ to describe a caste of very learned priests and scholars among the ancient Medes and Persians. Like Her Majesty’s Privy Council today, magi were the go-to advisors for kings of the time, for taking decisions domestic and international. They were educated in the literature and languages of surrounding nations and in the equivalent of a world religions curriculum that included studies in divination, esoteric wisdom, magical practices, dream interpretation, and the zodiac (astronomy and astrology for them a single discipline). In the Bible they are first mentioned in Jeremiah 39:3, 13, where one of Nebuchadnezzar’s officers is called “Rabmag” (AV), or “chief of the Magi.” In the Book of Daniel, the Jewish young men Daniel and his three friends were put through an education in Babylon similar to that of the magi before they could enter their careers as the king’s counselors (Daniel, chapter one) . The Greek word in Matthew 2:1, often rendered “wise men,” is magoi (magi), and “Simon the magician” (Acts 8:5-25) is known traditionally as Simon Magus. The magi of the Nativity, however, do not resort to astrology or to any other esoteric art or method to make the long trip to Bethlehem. Matthew’s Gospel indicates that these magi knew the Hebrew/Jewish scriptures and took their cues for the journey from that source. So, upon seeing the mysterious star in the East, they referenced it to Balaam’s prophecy in the Book of Numbers about the coming Messiah, which was prophesied hundreds of years before Christ’s birth: “I see him, but not now; I behold him, but not near. A star will come out of Jacob; a scepter will rise out of Israel” (24:17). This verse was usually treated as one of Israel’s messianic prophecies about the divine Ruler to come. Taking their cue from Scripture, the magi head for Jerusalem, the heart of Israel’s religious life, to seek further instruction. In Jerusalem, the magi’s determination to learn the whereabouts of this new king of the Jews raises havoc throughout the city and enrages King Herod, who interrogates the city’s rabbis. They crack the books and tell Herod that any fool knows where this ruler will he born: Bethlehem; and they show him a prophecy in Micah: “And you, O Bethlehem of Ephrath, least among the clans of Judah, from you shall come forth to rule Israel for Me – one whose origin is from old, from ancient times” (5:1; The Jewish Study Bible). With murder in his heart, Herod secretly questions the magi and sends them off to Bethlehem, several miles south of Jerusalem. Again, the magi are following Scripture not astrology. But on the outskirts of Bethlehem the magi get stuck. “Where do we go now?” I can hear them saying. “We’ve got the right town but now we need Jesus’ address.” Here, the otherness of the star may again be noticed. It “went ahead of them until it stopped over the place where the child was.” Thrilled to bits with this personal guidance from the “star”, the magi, “on coming to the house, they saw the child with his mother Mary, and they bowed down and worshiped him’ (Matthew 2:9-11). Finally it’s time for the arduous trek back to their own land. But earlier in Jerusalem, Herod had lied to the magi. He had told them to report back to him from Bethlehem so that he, too, could go and worship the child. But he wanted to know the address so that he could have Jesus murdered. The magi, unaware of Herod’s plot, are warned by God in a dream to return to their country by “another way.” Which they do. In the context of reading the entire detailed account of creation, this brief mention of stars appears almost as an afterthought. There is no mention that stars, or any other part of God’s creation, is to be used as a system of esoteric knowledge and learning. Yet that is precisely how neighboring cultures (of the ancient Hebrews) such as Babylon and Egypt used the stars (the sun and moon, too). And there is a consensus among Bible scholars that the afterthought mention of stars in Genesis 1 is an implicit warning to those ancient cultures, and to any today, not to employ the stars as a means of esoteric or occult knowledge, but to instead rely on God for guidance. Which brings us full circle back to the star of Bethlehem and the message of the magi. To conclude, conjectures may be made, and many people have made them, about the nature of the astēr (the Greek word translated “star” in Matthew 2), but it is not possible to make a solid conclusion about its nature. If you were standing in my backyard on a clear night, I could point out to you any number of planets or stars by name. “There’s Venus, there’s Mars, there’s Vega, there’s Sirius.” No such solid conclusion can be made about the astēr of Bethlehem. I don’t doubt that there may have been a conjunction, or a comet, or even a supernova during the period of Jesus’ birth. I just don’t think that the astēr of Bethlehem refers to any of them. Instead, it seems meant to indicate a miraculous star. 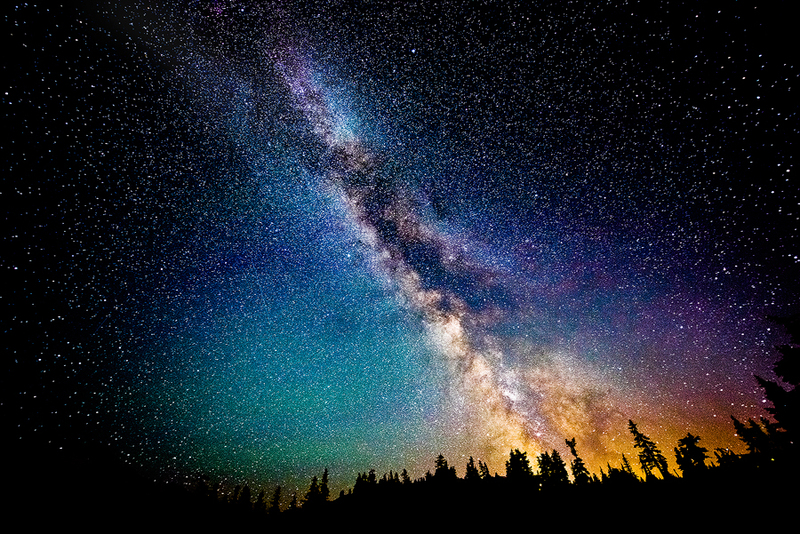 And the appearance of that, my friends, would certainly have gotten the profound attention of the magi, who were well-skilled in knowing what the appearance of the night sky should look like to them. This astēr was something other than that. And they knew it. This is why I say that it cut across the grain of their esotericism. Any meaning of the Nativity that leaves the seeker of Christ boxed in by naturalism, philosophical materialism, or scientific rationalism ends up with a God whose greatest claim to glory is being able to time historic events, like the birth of Jesus, to coincide with natural phenomena. This may be Immanuel Velikovsky’s god, who cleverly times the Exodus to occur during an earthquake that parted the Red Sea. It may be Curt Vonnegut’s god, who presumes that there was a small but effective electric power-plant in the Ark of the Covenant to strike down any who touched it. Or it many be the god behind the anti-supernatural current affairs stories and magazine articles about the Nativity. But it is not the God of Creation, who by his mighty power can and does use all sorts of natural and supernatural means to reveal Christ the Savior to those who seek him. Just ask Matthew and Luke. Or the magi. I’ve been thinking a lot about those words lately. They are from the late John Peck, Christian theologian and philosopher, writing in 1978 about his country, England. Quoted in: Uncommon Sense; God’s Wisdom for Our Complex and Changing World, John Peck & Charles Strohmer; The Wise Press, 2000; SPCK, 2001; p 10. The book was written to both English and American Christians. 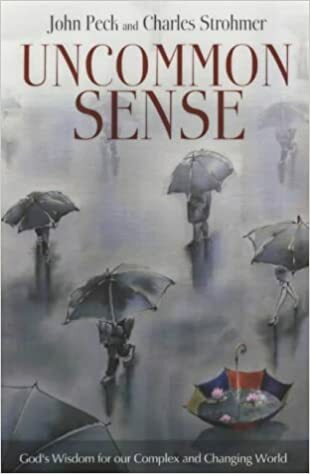 We included those words in Uncommon Sense because as we were writing the book (it took 4+ years) we felt their relevance also to America. The book is not a polemic. It actually offers a way ahead. Just saying. A note from Charles: For more of the perspectives that Waging Wisdom seeks to present, try following the blog for a while. See if you like it. You can always “unfollow” anytime. Just click here, find the “Follow” button in the right margin, enter your email address, and then click “Follow.” You will receive a very short email notice when I post a new article. And, hey, if you like this stuff, tell a friend! Thank you. In May, President Donald Trump pulled United States out of the Joint Comprehensive Plan of Action (JCPOA), commonly known as the Iran nuclear deal. In June, he met with North Korean leader Kim Jong UN in Singapore to start denuclearization negotiations with the secretive regime. It is hard to square these two historic yet contradictory foreign policy events unless a war with Iran is in the cards. And it may be. Formal talks with North Korea to eliminate its nuclear weapons is a wise move, even if realizing that goal will test the diplomatic skill of both sides as well as everyone’s patience. The dueling statements after the recent sit-down between Secretary of State Mike Pompeo and North Korean diplomats are probably indicative of disturbing disconnects to come. Pompeo called the meeting “productive,” adding that “progress had been made.” But “regrettable,” “really disappointing,” and “gangster-like” was the language of the North Korean foreign ministry. This should not surprise. Tetchy diplomatic exchanges occurred regularly between negotiators when hammering out the JCPOA. But it is smarter for adversarial states to keep talking to work out their differences. If they do not, they will grow increasingly adversarial by not talking to each other. Yet that is road President Trump has taken America on with Iran by exiting out of the JCPOA. It would have been wiser for the President to task the State Department to springboard off the JCPOA to seek through negotiations to try to resolve areas of critical concern between Washington and Tehran that were not within the nuclear deal’s purview. Such talks may not have been any easier in getting to Yes than they were with the JCPOA. But getting to Yes is wiser than going to war. And war it may now be. History does not repeat itself, but it does rhyme. In October, 1998, regime change in Iraq became official policy of the United States, through a bill that sailed through Congress and was signed into law by President Clinton on October 31 as “The Iraq Liberation Act.” Voila! In the spring of 2003, “Mission Accomplished.” Not. The U.S. has no official policy toward Iran equivalent to The Iraq Liberation Act, but in 1953 the CIA and MI6 worked together to change the regime in Iran. Sixty-five years later, is this the Trump administration’s unofficial-official policy? Within two weeks of pulling America out of the JCPOA, President Trump appointed John Bolton, a former U. S. Ambassador to the UN, as his new National Security Advisor. 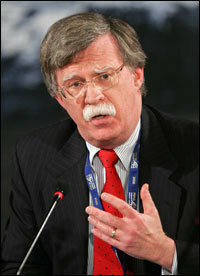 Bolton, a strong and vocal advocate of regime change in Iran, wrote in the New York Times in 2015 that bombing Iran is the only way to stop the development of its nuclear program. “Such action should be … aimed at regime change in Tehran,” he concluded. Note the meaning of that carefully crafted sentence. Bolton, who has served at high levels in various presidential administrations, is not saying: here is a just case for pulling out of the agreement. He’s saying: if you [Trump] pull out when Iran is not in material breach, here’s how to spin your decision. Also strongly critical of Iran is Mike Pompeo. In September, 2015, when he was a Congressman (from Kansas), Pompeo addressed the Heritage Foundation think tank with a topic titled, “A Pathway Forward: An Alternative to the Flawed Iran Nuclear Deal.” On April 26, 2018, four weeks after assuming the office of Secretary of State, and two weeks after President Trump terminated U.S. participation in the JCPOA, Pompeo was warmly welcomed back at the Heritage Foundation, where his topic, “After the Deal: A New Iran Strategy,” includes a string of twelve non-negotiable demands to Tehran, which, if you were that regime, you would see as prelude-to-war talk if all the demands are not met. Also in the stacked deck are the years of secret talks taking place between the leaders of Saudi Arabia, the United Arab Emirates, and Benjamin Netanyahu, Israel’s Prime Minister. The goal of these no-longer-secret talks was to form a solid coalition with other Arab Gulf states to combat Iran. That goal was partly held in check for eight years by the foreign policy of the Obama White House. With Donald Trump in the Oval Office that Middle East military alliance against Iran has been strengthened by the Trump family’s long-term friendship with Netanyahu, his withdrawal of America from the JCPOA, and the results of his first official foreign trip, in May 2017, to Saudi Arabia and Israel. Changing the regime in Iran may not be the only way to square talking to Marshal Un’s regime while refusing to talk to Tehran, but it has an ominous historical rhyme to 1998-2003. As then, today there are many hawks in Congress, and in think tanks and the news media, and influential editorialists, who would support regime change in Iran backed by the U.S. and its allies in the Middle East. Iran would fight it tooth and nail, which could easily lead to direct U.S. military involvement. Of course, well known is the long list of Iranian policies and actions in the Middle East that are of critical concern to the U.S., its Middle East allies, and Europe. As far back as the spring of 2003, Tehran itself, with the ayatollah’s imprimatur, formally reached out to the Bush administration to start talks about these issues, which included its nuclear program, cooperation with the U.S. on al Qaeda, leaning on Hezbollah, accepting the Arab League’s Beirut Declaration for a two-state solution, and ending Iranian material support to groups such as Hamas and Islamic Jihad. Team Bush was riding high just then, after the U.S. military toppled Saddam Hussein’s government in a short war, so it would have been an opportune time for talks with Tehran to begin. But in an irrational move that puzzled some of his political allies, President Bush snubbed Iran’s formal diplomatic reach out, and the magnitude to alter U.S. – Iran relations for the better was lost. The harsh snub gave the hard-line politicians in Tehran opportunity to make Iran’s then President Mohammad Khatami (an Iranian moderate who had been promoting a dialogue of civilizations) look so foolish in Iran that radical hardliner Mahmoud Ahmadinejad was elected President in 2005. It wasn’t until another Iranian moderate, Hassan Rouhani, was elected President in 2013, that Tehran got serious again about negotiating with the U.S. about its nuclear program. And it took an American President who was willing and able to do that. What will be the consequences of President Trump’s unwillingness to start talks with Tehran without first making absolute demands of the regime? Diplomacy and negotiations is not a one-way street. The JCPOA is a flawed agreement (is there any perfect international agreement? ), but it was a start, and it left the door open for hammering out a less-flawed nuclear deal, perhaps even a treaty. The JCPOA was also indicative that Tehran, with the ayatollah’s support, was willing to talk about other matters of critical concern. For the U.S. to enter into such talks is not a sign of weakness. Whatever good things could have come out of such talks now seems to have disappeared down the drain. A war with Iran would likely begin between Iran and Saudi Arabia with its Gulf State allies, who will have intelligence and possibly material help from Israel. Such a war could draw in Israel directly. At that point, and depending on how Israel fared, Israel could, even if as a last resort, ask for direct U.S. intervention in Iran. If so, it seems unlikely that the U.S. would deny its closest Middle East ally a direct war between the U.S. and Iran. But consider an alternative scenario. On June 8, in its most recent report to the UN, the International Atomic Energy Agency (IAEA), which spend upwards of 3,000 calendar days a year in Iran sustaining the toughest of inspections, stated that Iran is complying with its commitments. This is also the conclusion, to date, of all other signatories (except the U.S.) to the JCPOA – China, France, Russia, Germany, the United Kingdom, the European Union. War is not a wise way to solve international disagreements. Talking openly and honestly with Iran to bring that nation further out of the cold is the wiser policy. In the words of the late Israeli military leader turned politician Moshe Dayan: if you want to make peace, you don’t need to talk to you friends; you talk to your enemies. Images: permissions via Creative Commons. In the autumn of 2004, I answered my office phone and for a few seconds thought someone was playing a joke on me. Until it dawned on me that I really was listening to someone with that unmistakable BBC radio accent. Long story short, a producer from the BBC wanted to know if I would write and present a 30-minute radio program for them that traced religion and politics in America from the nation’s founding fathers and the fourth of July to today. It’s a strange sensation, I’ll tell you, beavering away on a writing project, hidden out in the foothills of the Smoky Mountains, and suddenly have the BBC World Service offer you a freelance job. “We got your name and number from one of your friends here in England,” the producer said. She laid out the idea, I plied her with many questions, and we reached an agreement. Over the next 2-3 weeks I wrote the script and we communicated frequently to polish a final draft. The program aired successfully on BBC radio, October 31, 2004. I had occasion recently to read the text of that program, which I haven’t done for years. Today, fourteen years later, most of it strikes me as very relevant still (one bit in particular does not). Before the program aired, two aspects of the editing process fascinated me. One was to see what bits of text the BBC omitted from my final draft in order to find time to include parts of well-known patriotic songs, readings, and interesting personal anecdotes from others, which I had no control over. I wish I could reproduce those inclusions for you, here, but the program is no longer on the Web. Instead, I thought you might like to see the entire unedited text. I’ve noted the places the BBC omitted by placing brackets at the start and end of that material, and I added the song titles and other bits. Also, toward the end of the text I included some pretty bold statements, and I was pleasantly surprised that the BBC left those in the program. These three short words bring together religion and a nation – and all the controversy and paradox, and yes blessings, that the invocation reveals about America’s pluralistic experiment. It’s not unusual to hear these three words on the lips of American politicians, especially during the closing remarks of important Presidential speeches. Invoking God finds deep historical roots in America dating back to the nation’s Founding Fathers, and even before that to the Pilgrims and to the Puritans, who first settled in close knit Christian colonies along the New England coast in the early seventeenth century. Even today millions of Americans genuinely believe that the nation should be blessed by God, and we’ll be hearing from some of them later. Many may even sing the famous Irving Berlin song God Bless America, written in 1938, at large sporting events. I never thought much about that song or its implications while growing up in Michigan in the more liberal North. many people take the words “God bless America.” I had moved into the heart of what is called the Bible Belt, a large area of the country where Protestant fundamentalism is widely practiced. 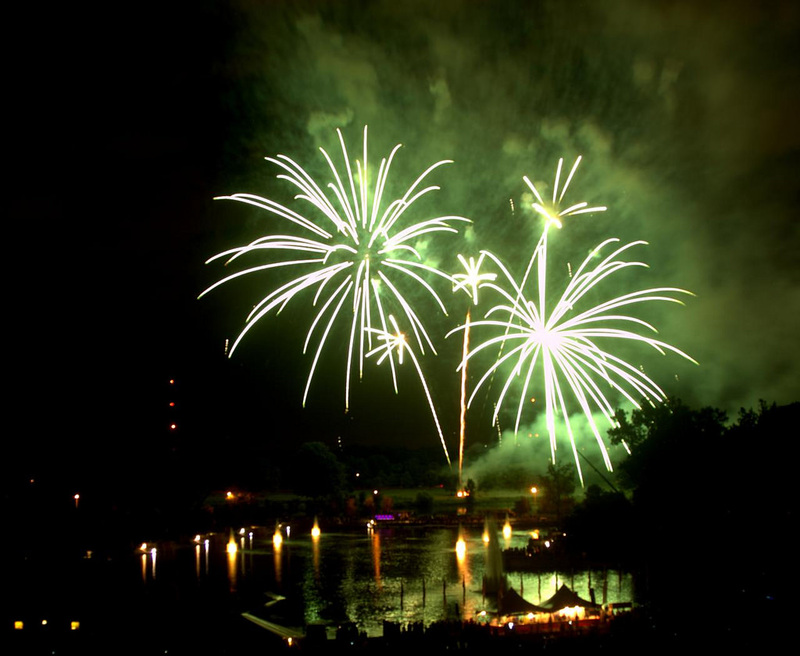 Every Fourth of July, for instance–or Independence Day, as people call it–our nation celebrates one of its most cherished documents, the Declaration of Independence, written by Thomas Jefferson in June 1776. We, the Representatives of the United States of America … appealing to the Supreme Judge of the world … solemnly publish and declare that these United Colonies are, and of Right ought to be, Free and Independent States [and] that they are Absolved from all Allegiance to the British crown …. And for the support of this Declaration, with a firm reliance on the protection of Divine Providence, we mutually pledge to each other our Lives, our Fortunes, and our Sacred Honour. In the church that my wife and I attend, Sunday services every Fourth of July come alive with political fervor. Inside the packed sanctuary you’ll see a large American flag with its bold red, white, and blue colors prominently displayed. You’ll hear the pastor preaching a rousing sermon about why America is a Christian nation, a chosen nation. There’s no doubt that religion and politics are in our bones here in the States. God permeates much of everyday American life today. On Sundays we pass the plate and on Mondays we pass the buck. And in both transactions God slips through our fingers – the slogan “In God We Trust” engraved on our money. And whenever students stand in their classrooms, hand over heart, to recite the Pledge of Allegiance, God gets a mention even in our secular, state school system. BBC added a comment from a Southern Baptist pastor from Dallas and a comment from a “humanist. The religious conviction that America is “a chosen nation” dates back to the Pilgrims and the Puritans, who were fleeing religious and political persecution in England and Europe. Many of their early documents reveal their deep faith in God, such as the 1620 Mayflower Compact, named after a ship in which many Pilgrims had sailed from Plymouth England to the New World. Having undertaken for the Glory of God, and Advancement of the Christian Faith, and the Honour of our King and Country, a voyage to plant the first colony in the northern parts of Virginia; do by these presents, solemnly and mutually in the presence of God and one another, covenant and combine ourselves together into a civil Body Politic. 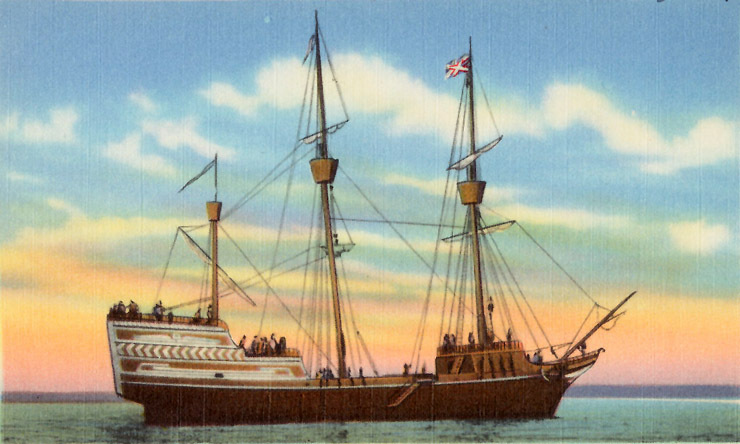 In a famous 1630 speech, Massachusetts governor John Winthrop stood on the deck of the gun-ship, the Arabella, in which he had sailed from England, and invoked blessings on the new colonies that were straight from chapter 30 of the book of Deuteronomy. As Winthrop articulated his Christian vision for the New World, he declared that the colonies should be “a city upon a hill” — a direct reference to Jesus’ statement in St. Matthew’s Gospel that you are the light of the world, and that a city set upon a hill cannot be hid. The Lord will be our God and delight to dwell among us as his own people and will command a blessing upon us in all our ways, [so that we shall see much more of his wisdom, power, goodness, and truth then formerly we have been acquainted with]…. The God of Israel … shall make us a praise and a glory, that men shall say of succeeding plantations: the Lord make it like that of New England: for we must Consider that we shall be as a City upon a Hill, the eyes of all people are upon us. Many of our politicians today, such as the late President Ronald Reagan, have appealed to Winthrop’s ideas. At least twice in his speeches, Reagan included Winthrop’s phrase about “a city set on a hill” – once during his campaign for a second term; and later during his farewell address to the nation. Did this mean that every early Christian leader believed that they were founding God’s chosen nation? Not at all. Puritan leaders like Roger Williams warned that no nation since the coming of Christ has been uniquely God’s chosen nation. And this is a position that continues to be held by many prominent Christians today. Nevertheless, not long after the nation had formed, the religious conviction that America was divinely chosen gave rise to Manifest Destiny, the powerful 19th century political doctrine that the United States had the right and the duty to explore and to expand itself throughout North America. And in those more militant times, as today, Americans could be inspired by the song The Battle Hymn of the Republic, a rather frightening song about God wielding his swift sword against his enemies. In quite a different spirit today, the U.S. Congress acknowledged God’s special relationship with America shortly after the attacks on 9/11. On October 23, 2001, Congress passed a Resolution that permits a national day of reconciliation to occur every year. Times haven’t always been pretty when it comes to religion in America. The Civil War was being fought chiefly over the slavery issue, and religious faith dictated two opposing views. Christians in the industrial North opposed slavery. In the agricultural South, with its huge plantations, Christians wanted to see slavery extended. The suffering slaves themselves drew from powerful redemptive Christian imagery forged upon the sorrow of their chains. BBC added a “testimony” from an Assembly of God church member and from a Catholic woman. The relationship of religion to government in America has sustained one of the nation’s longest-standing and most heated controversies: the meaning of the First Amendment to the U.S. Constitution. To many Americans today, this means that religion and politics should have absolutely nothing to do with each other. But to many other Americans, that is going way too far. Battles over the meaning are played out regularly in our courts, where, for instance, rulings have been handed down to remove Christmas nativity scenes from government buildings. But the battles are also played out between friends and neighbors. I used to have quite animated conversations about religion and politics across the fence line with my neighbor, Don, a silver-haired, straight-talking man who had retired to the Smoky Mountains from Florida. Whenever I happened catch him cutting his lawn, Don would stop and wave me over to the fence line, where, as neighbors do, we would catch up on things. Knowing I was a public Christian, within minutes Don would be baiting me about America’s religious right and its national political arms, the Moral Majority, and later, the Christian Coalition. “What business do they have, always sticking their nose into politics?” Don would say. Well, I took his point. But it must be said that government needs some sort of moral base, otherwise there’s going to be chaos or anarchy. The Pilgrims and Puritans understood this, but I don’t think that many non-religious Americans today think much about it. But both liberal and conservative Christians today think about it. Big time. Both sides of the religious divide spend huge amounts of time, money, and effort trying to implement their version of Puritan moralism in American public life. [They also believe that it’s essential to elect Christian politicians to key offices, whether locally, regionally, or nationally.] Their efforts, however, may not be producing the intended moral effect on the nation. After all, we’ve had almost 30 straight years of Presidents claiming to be “born again” Christians, ever since Jimmy Carter, a Democrat, popularized that phrase in 1976. And polling research indicates that close to fifty percent of the population now attend church on Sundays. The great irony is that after three decades of Christian Presidents and widespread church attendance, America still continues its slow general trend into materialism and moral decline. I think there are many reasons for this. Many churchgoers still cling to a 19th century pietism – a private faith that has little public relevance. [And many Christian politicians often fail to put forward viable policies that make sense to the nonbelievers in their constituencies.] Also, Christian activism often finds itself opposed by parts of society, whether rightly or wrongly. Intentions, purports, aspirations mine, leaving results to Thee. BBC added a Catholic man’s “testimony,” a doctor from Dallas who was a former rock musician. Many Americans like religion as a touchstone, but they resist having it enforced politically. Nowhere has public resistance to religious activism been more successful than in the case of abortion, which was legalized by the U.S. Supreme Court in 1973. Even after more than 30 years of tireless widespread religious activism, the abortion decision has never been overturned. With all the Christian influence in the nation, however, do people of other faiths, such as Jews and Muslims, and even those who claim not to be religious, get a fair shake? I think that most of the time they do. A very tangible blessing of America’s pluralistic experiment lies not only in the U.S. This means that “equal rights” for all takes precedent over any one faith. Rights, therefore, come first. And every American citizen has them. It doesn’t matter who you are or where you come from. Should people’s rights be violated, as U.S. history reveals, the courts are brought in to settle the abuses. I’m sure that to people looking in from the outside, it must seem like the whole nation is one big religious hothouse, a society where religion is continually shoved in your face. I think that would be an inaccurate picture of America. For me, even as a Christian, I think that one of the great things about the American experiment is you can live here quite happily without being accosted by religion. Many people live here for a long time and are not fussed about religion at all, even as I lived during one 10-year stretch of my life, when I was a New Age neopagan. Then in July, 1976, coincidentally during the month that America was wildly celebrating its two-hundredth anniversary, I was living alone like a hermit in California. That month I had a dramatic and unexpected encounter with the risen Jesus, which has always reminded me of Paul the apostle’s startling experience when he was knocked off his horse on the road to Damascus. The experience immediately changed the direction of my life completely. 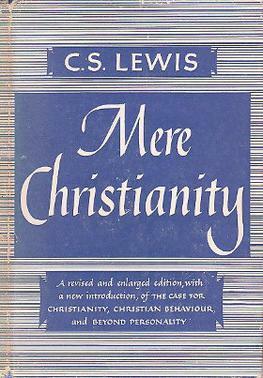 I suppose you could say that I now find what C. S. Lewis called “mere Christianity” to be both personally essential and a public good. I think that Americans of any faith, and people of no faith, have all learned to live here with grace toward each other – as we spend everyday in each other’s company, whether at work, at play, or across the fence line. It’s certainly not perfect. We’ve got a long ways to go. But for the most part, we get along — even during a heated political season like the current campaign for President. And that, it seems to me, is part of God’s grace blessing America. A note from Charles: For more of the perspectives that Waging Wisdom seeks to present, try following the blog for a while to see if you like it. You can always “unfollow” anytime. Just click here, find the “Follow” button in the right margin, enter your email address, and click “Follow.” You will receive a very short email notice when I post a new article. And, hey, if you like this stuff, tell a friend! Thank you. In an article I wrote last year, I did not foretell that John Bolton would become President Trump’s National Security Advisor. I argued that President Trump’s posture on Iran was nearly identical to President Bush’s hawkish attitude toward Iraq in 2002-2003, which led to the war about Iraq, and I documented Bolton’s overt militant stance on Iran, which could provide a rationale for Trump’s goal of withdrawing the United States from Iran nuclear deal (aka: the JCPOA). ■ and actively organize opposition to Iranian political objectives in the UN. ■ The Iran deal has not deterred it from pursuing paths to have nuclear weapons…. ■ Iran had no intention of honoring the agreement…. You only have to read President Trump’s public statements about the Iran deal to see that many of them resemble the above sound bites. It is foolish to try to predict what the next five to ten years will look like now that the United States is no longer committed to the JCPOA, now that “the highest level of economic sanction” is being instituted (Trump), and now that all sorts of changes toward engaging with America are being discussed and implemented by many U.S. allies and partners, including in the EU. PNAC was a well-funded, well-connected neoconservative think tank (1997-2006). “We urge you to articulate this aim,” the letter to President Clinton concluded. “We stand ready to offer our full support in this difficult but necessary endeavor.” Signatories includes: Robert Kagan and William Kristol (PNAC founders), Elliot Abrams, Francis Fukuyama, Richard Perle, Donald Rumsfeld, Paul Wolfowitz, and John Bolton (a Director at PNAC). It is tempting to conclude that this was “just a letter.” And many analysts have concluded that Clinton ignored it. Maybe. Maybe not. Certainly he never made any attempt to remove Saddam Hussein from power in Iraq. But regime change takes time to plan and to implement. Consider what did take place quietly in the halls of power nine months after Clinton received the PNAC letter. In September 1998, a bill was introduced to both the House and the Senate under the cumbersome title: “To establish a program to support a transition to democracy in Iraq.” It sailed through Congress and was signed into law by President Clinton on October 31 as “The Iraq Liberation Act.” With that use of his pen, Clinton made regime change the policy of the United States toward Iraq. Five-and-half years later, in March 2003, President Bush sent the troops. Conventional wisdom lays the decision to oust Saddam Hussein from power at the feet of President George W. Bush, but the policy had in fact become official U.S. policy under Clinton. We will never know all the facts and machinations that led to the U.S. invasion of Iraq. As Al Gore once told Washington Post journalist Bob Woodward, the public only knows one percent of what goes on at the White House. What we do know is that Trump withdrew the U.S. from the nuclear agreement despite the IAEA’s widely respected conclusion that Iran was not in material breach of the agreement. We also know that part of Bolton’s Middle East policy was regime change in Iraq. We also know that another of his Middle East policies is “regime change in Iran.” This he made clear during a Fox News interview four months before he was installed as Trump’s National Security Advisor. There are bullies, and then there are bullies. I was reminded of two kinds in as many days. Today I was working out in our local gym, which had its three televisions running, each in different sections of the gym. A sports program was on at the far end and FOX News was running in another section. The program on the television near me was naff, so after determining that the middle-aged woman exercising nearby was not watching it, I found the remote and started surfing. When I landed on CNN News, I left it there and followed along using the “closed caption” option after I got back to my workout. That was going along well until the middle-aged lady’s husband walked over from the other end of the gym. Nearly finished with his workout, he wanted to know when she would be done. They sorted that out, and he walked off to finish his workout, but not before he had made a rude remark about CNN. I hadn’t paid any attention to this man until the rude remark, which was impossible for me to miss. So I looked more closely and remembered him from the only conversation I ever had with him, in the gym a couple months ago. To each his own, but during that brief chat the guy really put me off with his Mr. Macho personality and hyper-aggressive patriotism. I was glad when he returned to the other end of the gym today. We did not speak this time, and I don’t know if he recognized me. I kept watching CNN and working out. His wife moved to another nearby machine. Out of the corner of my eye a few minutes later I noticed the husband coming to talk to his wife again. He was done working out. I’ll be done soon, she explained. I got the feeling he was frustrated to wait. He looks up at the monitor, makes more rude remarks about CNN, and then plops himself down on the nearby couch and takes the remote and starts watching the History channel. He knows I’m watching CNN but he doesn’t consult me. Doesn’t even look at me. Having had that previous distasteful encounter with him I decide to keep my mouth shut. Almost immediately the wife stops working out, walks past the couch, says, “Let’s go,” and heads for the door. This scene takes place about ten feet from me. It’s impossible not to notice some issues there, and I turn and look elsewhere. I’m not completely clear on what then occurred, but apparently the husband jumped off couch and took a few steps toward the door, but then stopped, retrieved the remote and changed the monitor back to CNN. He then spoke to me. “That’s what you were watching wasn’t it?” I look up and nod. He makes more rude remarks, complete with hand gestures, and then exits the building. It’s annoying, that kind of soft bullying, and it is easily dismissed. Not so the hard-nosed bullying that yesterday strong-armed not only an adversary but also allies with its misguided foreign policy decision to withdraw from the Iran nuclear agreement. When a child bullies, parents can step in. Who can step into this? Image: by dhruvgpatel via Creative Commons.